Enzo Ishall finally unleashed the visuals for his track , Muchiround which he released last year in December. The video came out yesterday and it is his third to be released in February after the release of visuals for 50 magate and Fear no Man a collaboration he did with Buffalo Souljah. 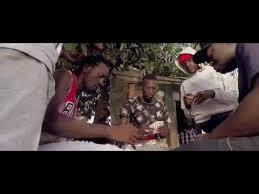 This video brings out the realities of ghetto lifestyle which is characterized by gambling occurring on the streets. However, the Muchiround visuals also do display a positive side of the realities of ghetto youths in the city and this is reflected by scenes of flashy cars which is seen as a symbol of success and having made it in life. Will Muchiround make a mark like his previous hits Kanjiva and Magate?